Sun lounger in perfect condition for the following seasons' sun worshipping. 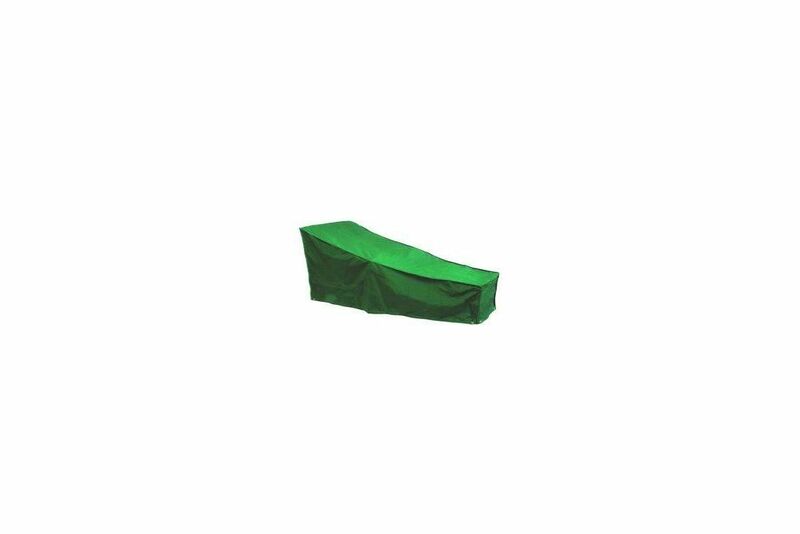 The highest quality polyester is cut to shape and then double stitched round the seams with a waterproof coating added and a PVC backing in place as standard with every Bosmere cover we sell. When it is heavily soiled you can use a cloth to wipe it down and remove unwanted dirt. UV Stabilised fabrics in all our Sun Lounger covers. There is a pull-chord running round the base so it can be pulled tight round the base of the lounger.